This program has attracted high number of enrolment in the pre primary schools. 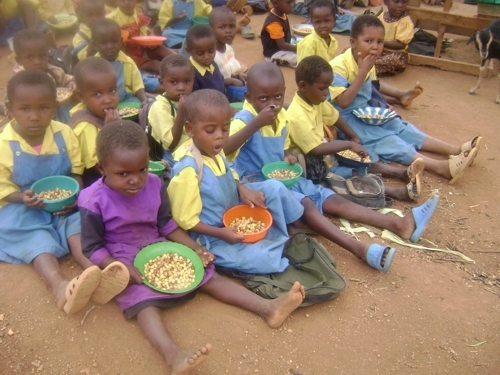 At this time of economic constraints, it has acted as food supplement to the children drawn from poor backgrounds. The students eagerly learn the faith / doctrines of Ahlul Bayt (as) in Madrasah and also actively participate in daily prayers, wafat and wiladat occasions and other activities at the centre. Attendance at Madrasahs in the afternoons and weekends has increased. The community at large from all the centres have sincerely appreciated this program especially at this difficult time when the Nation is faced with harsh economic constraints/recession and drought in the regions. They have conveyed their heartfelt duas and blessings to all those who have contributed worthily towards this programme and pray for the continuation of this programme. Bilal Muslim Mission of Kenya would like to thank all the generous donors for their contribution. In order to continue this project the Mission request your support in this noble cause.